In the article I’m going to tell you about Outdoor Cichlid Ponds. Keeping cichlids in backyard ponds is becoming popular because they are cheaper to buy and are easy to breed. By purchasing a heater that will keep your pond water at a constant warm temperature during the winter months, you will be able to have a cichlid pond in a temperate climate. Heaters can be powered by electricity, solar power or propane. A simple 300-watt aquarium heater can be used in smaller ponds. For medium to large ponds, a hot tub heater is able to keep the water at 70F degrees. At sub-zero temperatures, a single hot tub heater can service a pond of 5000 gallons. The ideal pond water temperature should range from the high 60s F to the low 70s F.
When selecting a heater, make sure the heater is designed to warm the water rather than just keeping a hole in the ice so the bad gases can escape. 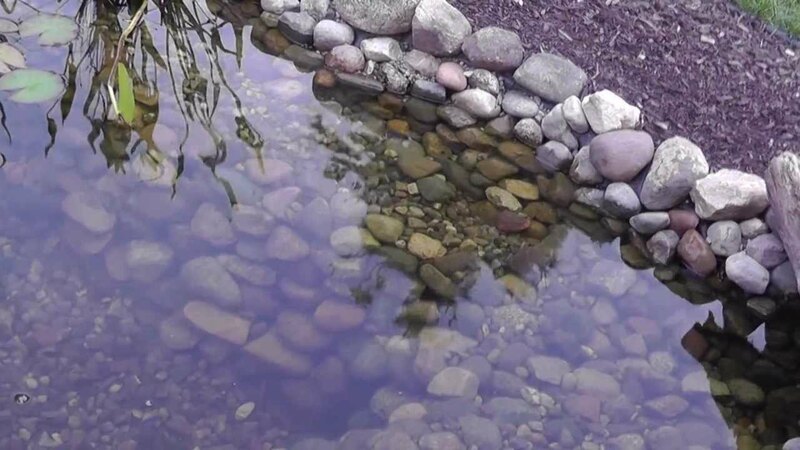 If you have a waterfall or fountain or other water features in your pond, they should be shut off in the winter because they make the water colder. In turn, this makes the heater work harder. Cichlids are prolific breeders and your pond population will continue to grow. 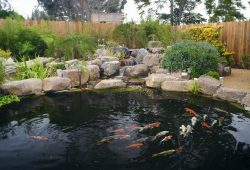 With more fish, there will be an increasing need to keep the water oxygen-rich with air stones and equipment that forces the air from the bottom of the pond to the top. 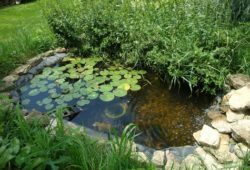 A good filter is necessary for removing fish waste and other harmful bacteria from the pond. A sand filter is one of the more popular filters. It filters the water through layers of sand and biological filter media. If you are just setting up a pond, be sure to let the filter cycle for 5 to 7 days before putting in fish. This will enable the buildup of good bacteria. A good pond liner will help prevent leaks. In addition, it will keep your pond warmer because it acts like a barrier to keep out the cold from the ground. Decorating a cichlid pond can be done with stones, plants and driftwood or any combination of the three with sand as a substrate. Cichlids can be aggressive so they need hiding places. Cichlid fry need to hide from preying adults. Plants are good for ponds because they absorb carbon dioxide produced by fish and turn it into oxygen. They also help shade the water which is good during hot weather. 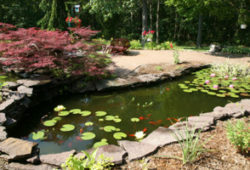 For stocking your pond, the rule of thumb is two square feet of pond space for each inch of fish. If your pond gets overcrowded with cichlids, you can sell some of them. The proceeds from sales can help with the heating costs during the winter.